Trump’s claim  that Moore is “very respected” is, as is typical for this president, a lie. Moore is widely  known  for being sloppy and dishonest , the kind of shill who spurs a newspaper to promise not to publish his work  anymore after needing to append a lengthy correction to one of his op-eds. Moore is also a pure partisan, with his economic opinions  following from what benefits his party . When Barack Obama was in the White House, that meant calling for tight monetary policy even though that would hurt economic growth; with Trump in the White House, it has meant fervent demands for loose monetary policy, which he says would improve economic growth. Let us not forget CNN’s role in this farce. The news network whose tagline  is “Facts First” thought Moore’s partisan commentary was so valuable that the network lured him away  from his Fox News post after Trump’s election. Moore’s reputation as a hack had been cemented long before CNN hired him, and the network didn’t care. This is par for the course for CNN and its president, Jeff Zucker, who were so enamored of providing on-air “balance ” that they hired a team of pro-Trump shills and grifters  to fill the network’s green rooms. 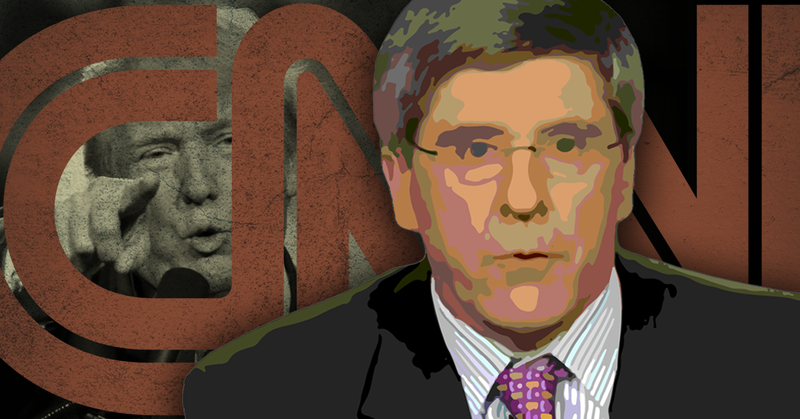 Rather than providing its viewers with information, CNN has preferred pugilistic battles, letting presidential propagandists duke it out with more credible voices.